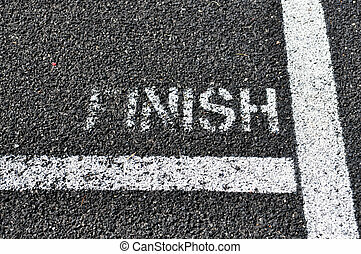 Finish line. 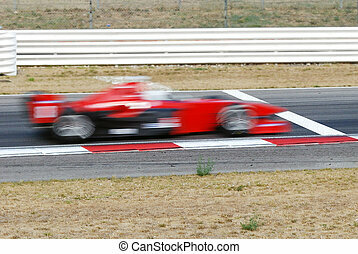 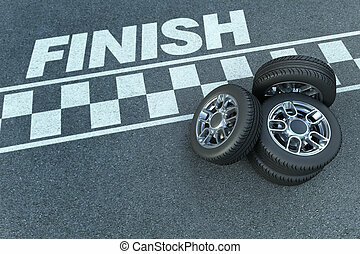 Sports car wheel and checkered flag. 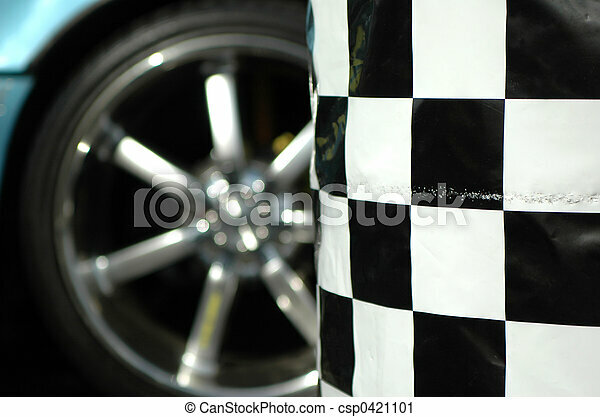 Sports car wheel and checkered flag. 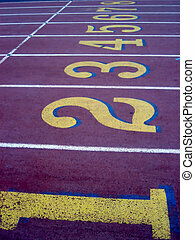 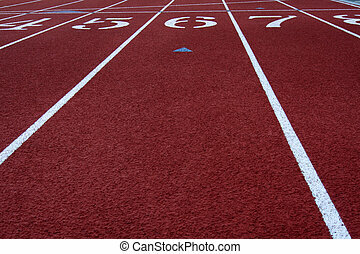 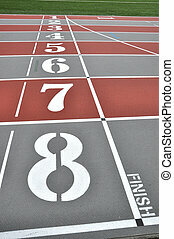 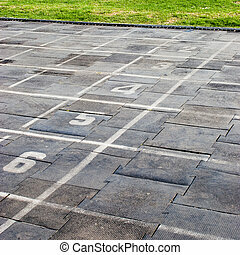 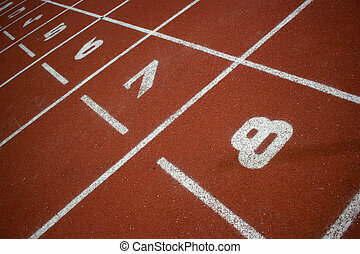 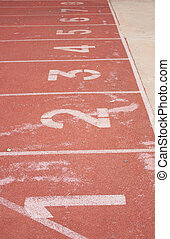 Finish line on running track. 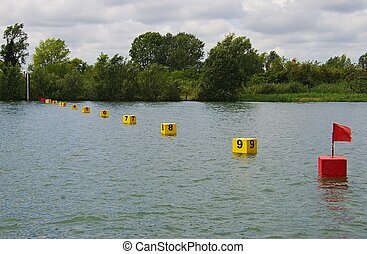 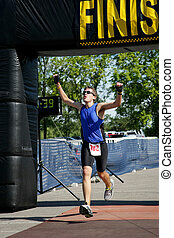 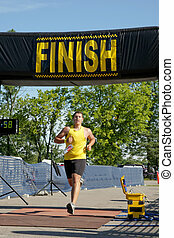 Triathlete crosses the finish line. 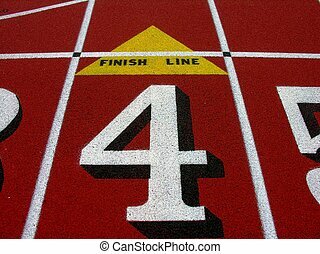 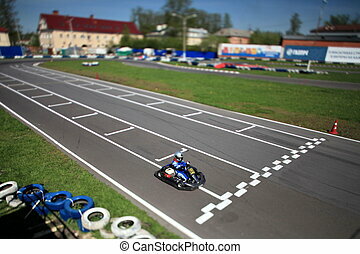 The race for the Finish Line. 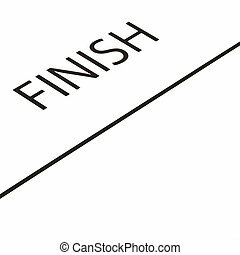 The finish line painted on a black top running tract.